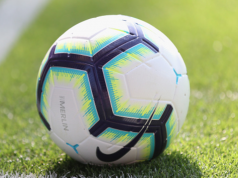 Swansea City are likelier to have a tough summer of negotiating, and Graham Potter has made it clear he plans to be in the middle of the Welsh’s club transfer business. That may be wise, because some of the deals done by Swansea in recent years haven’t turned out to be beneficial. Potter could be in for a difficult Borja Baston exit negotiation. AS report on Friday that Leganes, who finished 17th in La Liga last season, are following the player’s situation. 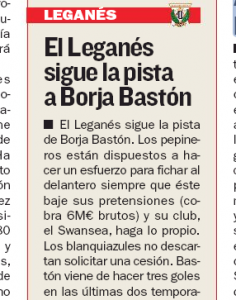 Whilst Leganes are presented as interested, it’s made clear that both Baston and Swansea would have to ‘lower their claims’ for a transfer to be possible. 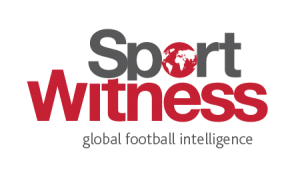 According to the report, Baston earns €6m a season at Swansea, and Leganes, and most Spanish clubs, won’t go near such a figure. An attempt at a loan move isn’t ruled out. Baston, a striker, joined Swansea in 2016 and scored one goal for the club being going out on loan to Malaga last summer, where he managed two goals.